EcoFactor has always been ripe for the service provider market. Now, it’s harvest season. On Tuesday, EcoFactor and Comcast announced an agreement to deliver EcoFactor’s cloud-based energy management system, which utilizes weather and historical data along with personal preferences, to micromanage a home’s energy settings without anyone noticing -- or having to do anything. Details of the service, which will be offered to all of Comcast’s Xfinity Home customers, will be announced later this year. The company did not confirm if actual service would begin nationwide within the year. The announcement comes at a time when telecoms and cable service providers are looking for safe moves into the home energy space. They don’t want to dump too much money into it, in case it’s not as popular as they think, but the companies also can’t afford to ignore the opportunity to add another layered service to the current offerings. “With EcoFactor, we see an opportunity to bring new and exciting technologies to our customers through an automatic energy management solution that works in real time,” Mitch Bowling, SVP and general manager of new businesses for Comcast Cable, said in a statement. EcoFactor has always seemed like the perfect fit for the service providers, but that doesn’t mean it’s not working with utilities. The company is currently partnered with Oncor and NV Energy. For the program with Oncor, which began in 2010, about 1,200 customers received six months of free service, and then the price jumped to $8.99 per month. At the time, EcoFactor told Greentech Media the full cost of service and the thermostat was about $500. Wireless thermostats continue to drop in price, however, and EcoFactor says it is hardware-agnostic. Comcast, which will roll out the offering later this year, has not released pricing, but it we’re assuming it’s cheaper than your HBO subscription. 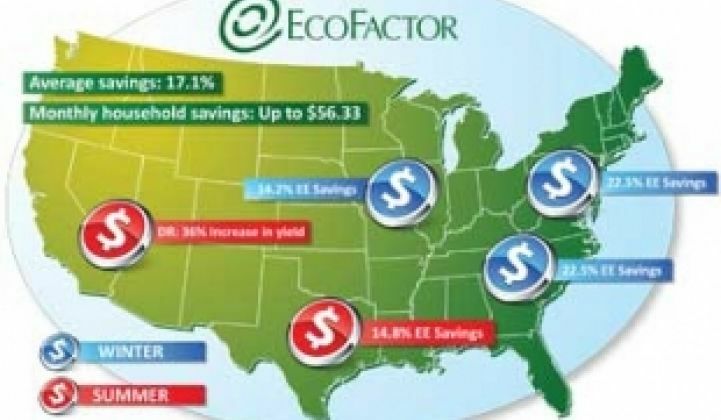 The price will have to be below the savings that EcoFactor’s software can get homeowners on their utility bill. One study released by the company said that it can cut an average home’s utility bill by 17 percent per month. Overall, EcoFactor has said it can cut heating and cooling by about 30 percent. “Comcast wants to bring its customers a solution that reduces energy use, but doesn’t ask them to compromise comfort or change behavior. That has always been EcoFactor’s mission and it’s great to see a major service provider validate our approach,” Roy Johnson, CEO of EcoFactor, said in a statement. In the coming months, EcoFactor will work with the cable giant to integrate its back-office solution and support for its product into Comcast’s systems. Comcast, which isn’t exactly in the thermostat business, will also have to pick at least one, and potentially many, hardware vendors to provide the wireless thermostats needed for this system. Home energy management companies, or those moving into energy management, are just starting to find the sweet spot to win telecom contracts. Unlike slow-moving and heavily regulated utilities, the promise of telecoms is that they understand networking and aren’t afraid to go into the home. They also have millions of customers, whereas only a few large investor-owned utilities can boast such numbers. AlertMe closed a deal with Deutsche Telecom last fall, and Asoka Corp. is working with Swisscom. Verizon also got into the game recently by offering home security and energy management services to its nearly 5 million FiOS broadband internet customers in the U.S. and maybe to its Verizon Wireless customers later on. Verizon is charging $9.99 for the service. Comcast played up its EcoFactor partnership, but it is not just an energy play. Comcast will also offer an indoor/outdoor camera with night vision, a carbon monoxide sensor, flood sensor and in-wall lights that can be remotely controlled through its Xfinity Home app. 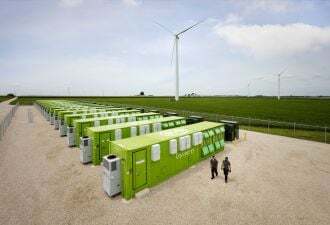 The question in 2012 is not if cable and telecom service providers and big-box stores will get into the energy management game, but which hardware and software companies they will partner with and just how big a move they will make.